I got to visit Caleruega in Nasugbu, Batangas for the first time last week to attend a dear friend's wedding. 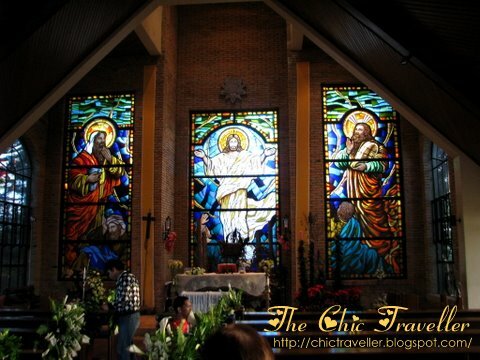 It is said that Caleruega is one of the top choice venues for church weddings in the Philippines. It is so in demand that couples need to reserve Caleruega at least a year ahead to get a good schedule for their wedding. When I got there, it was easy to see why Caleruega is in demand. Their Transfiguration Chapel is beautiful, and it rests on the highest point of Caleruega. I estimated that it could seat about 80-100 people, and it's perfect for small and intimate weddings. Inside the chapel, you could feel the solemnity of Caleruega. It's perfect for quiet moments of prayer and reflection. When you get wed here, it will definitely be a beautiful memory. 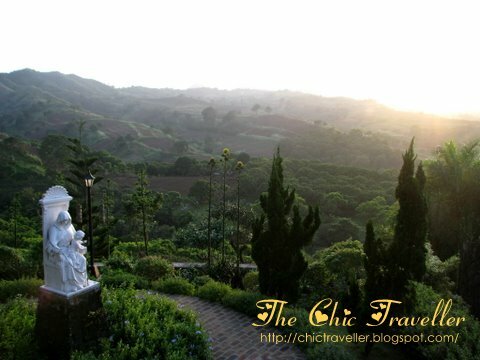 Other than the Transfiguration Chapel, Caleruega also offers a great view of the mountains in Batangas. Make sure you bring clothing that would keep you warm as the cool breeze makes the temperature go down several notches lower. The magic of Caleruega does not stop here. 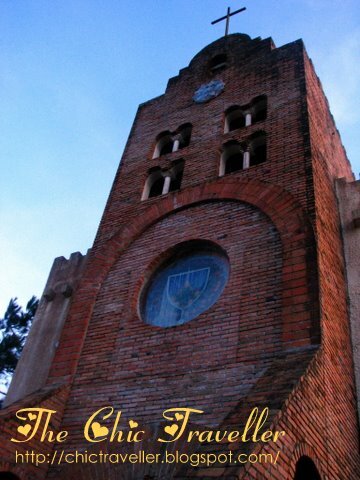 Caleruega also offers retreats for those who want a quiet time with the Lord. And for couples who don't want to wander too far for their reception venue, Caleruega has reception halls perfect for reception and wedding parties. that's one of the most beautiful church there. the view the environment, perfect! Ganda ng Calaruega noh? One of my favorite places in Tagaytay. So serene and you're just surrounded by nature's beauty.